Lieutenant Colonel P. J. Daly, D.S.O. Mayor Davidson received a communication today from Lieut.-Col. P. J. Daly, commanding the City of Winnipeg battalion, now somewhere in France, stating that he had rounded up two more guns, making a total of six. He said he would donate them to the city, if desired. His worship promptly accepted the offer. Congratulations were sent to the officer. The guns will be placed eventually on historic spots in the city. Patrick Joseph Daly took command of the 27th Battalion on 15 April 1916 following Lieutenant Colonel Irvine R. Snider’s nervous breakdown during the battle of St. Eloi. A native of Ireland, Daly had fought with the 6th Western Australian Mounted Infantry during the Boer War. He was seven times wounded in the South African campaign, nominated for a Victoria Cross and awarded the Distinguished Service Order. In one engagement, despite having both arms broken, Daly rode for a mile and captured over forty enemy prisoners. After the Boer War, Daly eventually relocated to Alberta and joined the 103rd (Calgary Rifles) Regiment. He enlisted as a major with the 31st Battalion commanded by fellow Boer War veteran Lieutenant Colonel A. W. Bell. After distinguishing himself during the fighting around the St. Eloi craters in April 1916, he was promoted to lieutenant colonel in charge of the 27th Winnipeg Battalion. 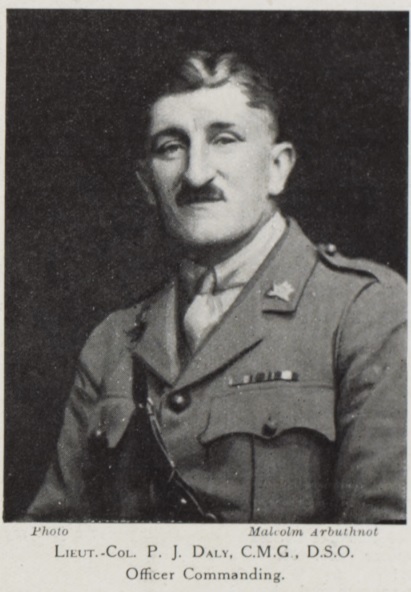 He remained in command for two years until he was relieved by Major H. J. Riley on 4 April 1918. Three times gassed, Daly developed chronic bronchitis pleurisy and laryngitis. A shell explosion had also left him with defective hearing. Daly died in Lougheed, Alberta on 13 February 1931 from acute appendicitis. 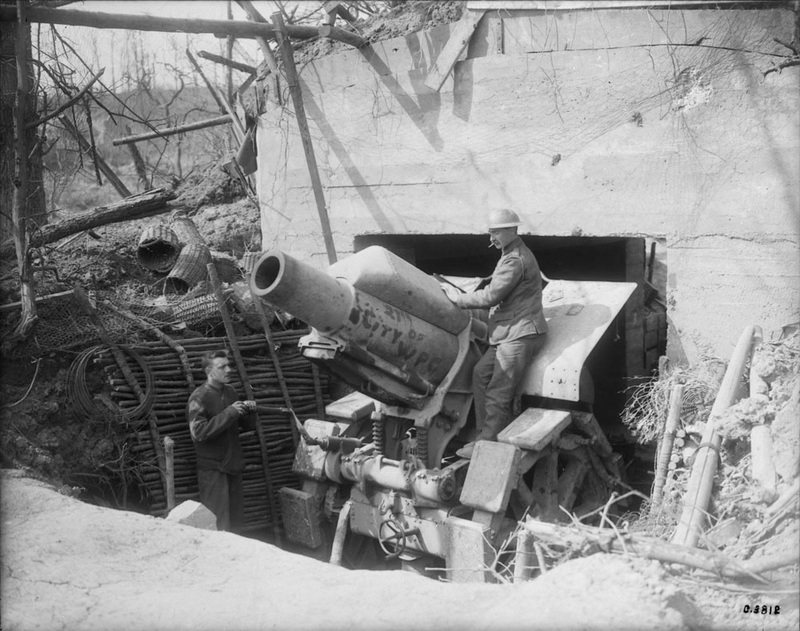 MIKAN 3397850: German 8″ Howitzer captured on Vimy Ridge by 27th Battalion.